There wouldn’t BE a Willow Award without Linda Solano. Willow would have been a cute and happy little whippet and hundreds of humans would have missed a comfort, a belly laugh, a moment of peace, a success in their physical therapy, a contentment, a feeling of being understood when they had no words. Millions of tiny miracles would have never happened without Linda’s tireless work, her dedication, her hours of training and driving and going, going, going; all to share her little whippet’s gifts with people who needed them. No fanfare, no ribbons, no credit. EVERY NOMINEE IS A WINNER!!! EVERY. SINGLE. ONE. 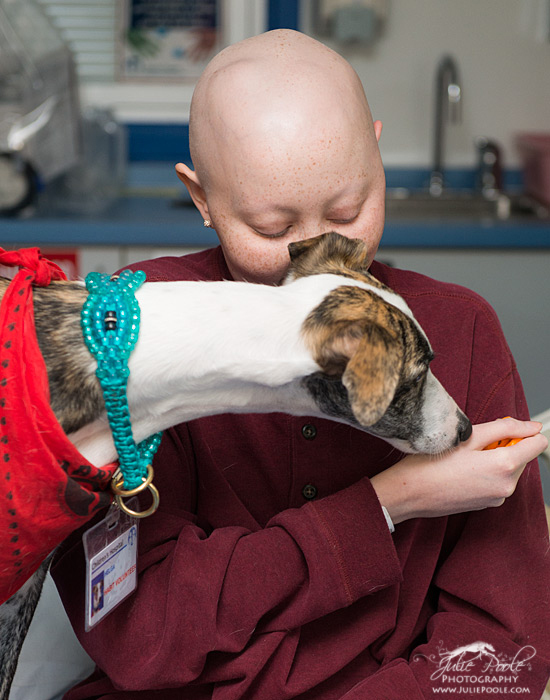 The director of Animal Assisted Therapy at the NIH who had worked with Linda and Willow has chosen a recipient since the beginning, but this year happily she has teams who are nominated working at the NIH, so she recused herself. 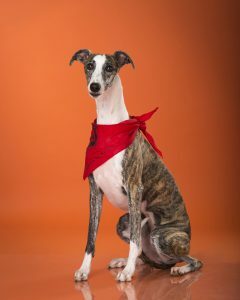 After panicking, Patience asked past Willow Award recipients Holly Wells (Mr. Whippet, 2004), Shawn Barkley Hart (Bella Bean, 2007) and Kelly Miller Lanham (Chester, 2011) to help. Every one of these nominees have blown them – and I hope you all – away. These whippets and their humans do wonderful things, without recognition or praise, and here is our chance to thank them for inspiring us all. With so many extraordinary nominees, this year’s panel of judges have asked that a few be singled out. Oliver.. This is a busy guy visiting rehab/trauma and assisted living/memory care facilities. He does a great job making “connections” with people by watching and listening. A very patient guy who quietly works his magic. A miracle isn’t so tiny when it happens to you. Abbey … it is truly amazing how dogs can pick up on diabetic changes. For her to become a diabetic alert dog and then take that a step further for therapy work with diabetic kids, providing emotional support as well as education is great. A miracle isn’t so tiny when it happens to you. Bonnie – There is a lot to be said for longevity and consistency of purpose in a world of changing fads. Ten years of healing is a very impressive run. And her willingness to join a “dogless handler” in his quest to continue serving others. A miracle isn’t so tiny when it happens to you. Keaton/Taylor – While they have an impact on fewer people with their therapy, the impact they have made is life changing for those with whom they have worked. It’s amazing how these dogs help people on the autism spectrum or other challenges learn to connect, train, and even compete in Rally/Obedience. A miracle isn’t so tiny when it happens to you. 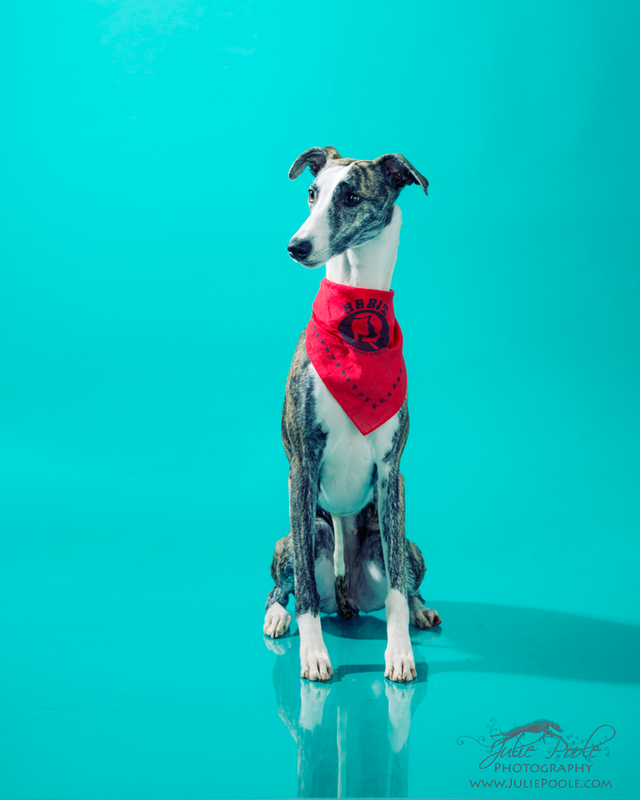 Beans: This whippet is just plain cool. A huge ambassador for whippets. Surfer dude, amazing pet therapy dog, and deaf. Shows the surviving spirit of the whippet. Her disability helps people with challenges of their own connect. And her joy for life is contagious. A miracle isn’t so tiny when it happens to you. And that brings us to the recipient of the 2017 Willow Award. Helga. Bred, owned, and partnered by Julie Poole. Helga does the hard work of visiting the sickest of the sick. Children with often terminal diseases. Parents watch their once healthy child who is now riddled with tubes and torture, small in their hospital bed and tiny in their battle. Tired of not knowing anything about the future and only the suffering uncertainty of their present. Until Helga. Helga brightens those days. Helga knows the children who have the most need. One day after she had already been visiting for three hours a mother asked if Helga would visit her autistic child. She laid her head across this child’s chest with her eyes closed. The child alternated between outbursts and saying he loved this dog. The mother was in tears, the grandmother was in tears, Julie was in tears. Helga simply gave herself to this child. Julie watched her get in bed with a severely disabled young adult. He had been life-flighted to the hospital in a helicopter for seizures. He couldn’t pet her gently, but Helga sat quietly as he petted her as he could. When it was time to go Julie had to lift Helga out of the bed as she wasn’t going to leave him. Julie has watched Helga rest her head across the chest of a child who was very close to the end of his life. The little boy would tell her how much he loved her and that he wanted his mother to let him have her as his own. She knows. Helga always just knows. For these and many more reasons we are proud to name Helga as the 2017 recipient of the Willow Award for the therapy whippet of the year. A miracle is EVERYTHING when it happens to you.